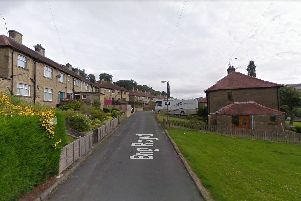 Calderdale Police have released the name of a man they would like to speak to in connection with an assault in Illingworth. Michael Patrick Scully, 40, is from Halifax and is wanted by police in connection with the offence, which occurred in the early hours of Thursday, November 6. He is white, about 5ft 11ins tall and of stocky build with short light brown hair. He is believed to have connections to the Illingworth area. Detective Inspector Craig Lord, of Calderdale District CID, said: “We have undertaken numerous enquiries to locate this man and our officers continue to actively pursue every line of enquiry to trace him.